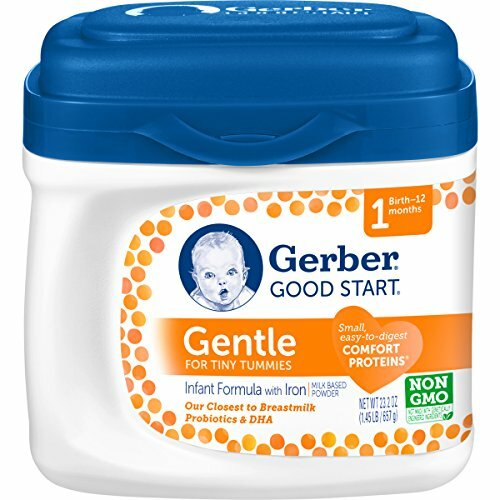 Gerber Good Start Gentle formula is modeled after the complete nutrition and gentleness of breastmilk. It has Comfort Proteins, small proteins that are easy for tiny tummies to digest. Comfort for your baby means happiness for all. If you have any questions about this product by Gerber Good Start Infant Formula, contact us by completing and submitting the form below. If you are looking for a specif part number, please include it with your message.